Entirely open to the exterior, the NC concept incorporates the very latest innovations to improve quality of life on board and distribution of space. 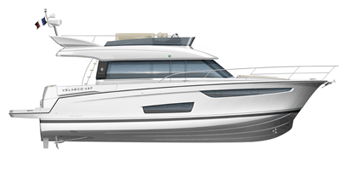 With an elegant silhouette and a contemporary design, the NC line offers a new vision of the inboard family powerboat, from 9 to 14 metres, one that is both secure and stylish. In perfect harmony with the sea, the NCs are always chic.